Instead the Umbwe Route now joins the Machame Route on the evening of the second day, following the southern circuit to the summit and descending via the Mweka Route (see Umbwe Route map below). 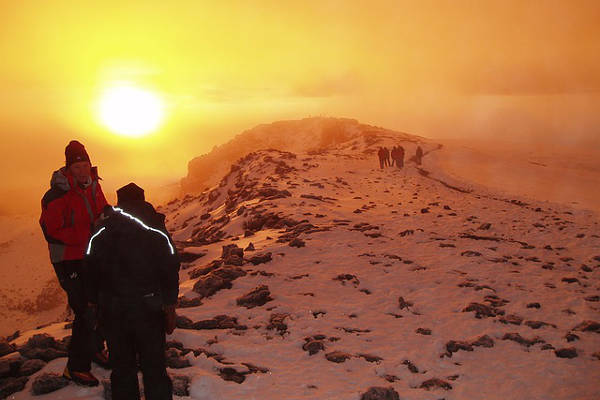 The itinerary set out below is for a six day Umbwe Route on Mount Kilimanjaro. To give you a sense of the Umbwe Route profile please see the altitude and distance map at the bottom of the page. The Umbwe Route departs from the south. 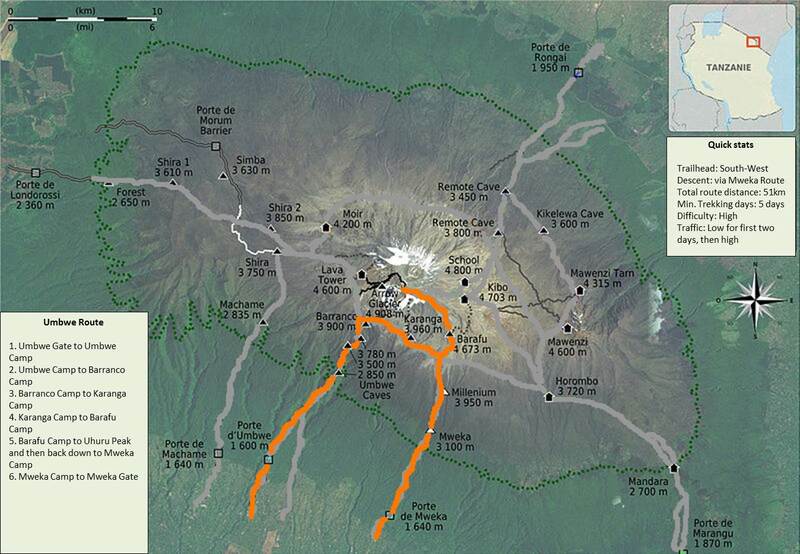 Most trekkers get driven from Moshi or Arusha to the Machame Gate, where registration takes place. From there trekkers are transferred to the Umbwe Gate at 1,600 meters. Here you will start your trek with your guide and porters in tow. The route follows a forestry track through the rainforest before steepening between the Lonzo and Umbwe Rivers. If the weather is clear you will get a good view of Kibo in the distance. It takes approximately 5-7 hours to reach Umbwe Cave Camp at 2,850 meters; 10.5km / 6 miles from your starting point. The camp sits between large evergreen trees and thick undergrowth, with Umbwe Cave a short walk away. On arrival your tents will already be assembled and dinner will be served in your mess tent. On Day two the landscape changes rapidly from rainforest to moorland, with rocky outcrops and sparse vegetation. The path follows the narrow Umbwe Route ridge until it begins to flatten close to the Barranco Valley. The Barranco Camp (3,900 meters) sits in the valley under the shadow of the Great Barranco Wall with Kibo visible in the distance. You will notice the camp is pretty busy. This is because you will be joining hikers from the Machame, Lemosho and Shira Route here. Day three starts with a steep climb up the 257 meter Barranco Wall. No technical skills are required but you will need to use all four limbs to scramble up to the top. From here you will follow an up and down route along the Southern Circuit (see Umbwe Map above) through the Karanga Valley and up to Karanga Camp (3,960 meters). You will stop at Karanga Camp for the night, unless you are on a five day route, in which case you will continue on to Barafu Camp (4,670 meters). Day four is a relatively short climb from Karanga Camp to Barafu Camp at 4,670 meters. The route sojourns through the rocky and sparsely vegetated high alpine desert zone. Barafu Camp is very exposed to the elements, especially the gale force winds that are common at this altitude. You will arrive at the camp around lunchtime, giving you lots of time to rest or potentially climb a bit higher if you are feeling up to it. Many people have lost their appetite by this stage in the trek but it is important that you try to eat some food. Set an hour aside to ensure that your gear is ready and packed for the summit ascent which begins around midnight. Don’t forget to carry additional batteries for your headlamp and camera, and remember to make sure your water bottles are well insulated (wrapping them in an extra pair of warm socks works well). Try get to bed before 19:00 as you will be awoken around 23:30 to begin your summit attempt. After being awoken with hot tea and biscuits you will set off up the heavily screed slopes of Kibo. The route up to the carter rim is long and arduous! Your physical and mental capacities will be seriously tested. It is important to remain focused on your goal, one step at a time. Around dawn you will reach Stella Point (5,739 meters) at the top of the crater rim. This is not the summit but is a major milestone. Take a moment to rest and enjoy where you have got to but don’t lie down as this can stymie your final push to the summit. From Stella Point the route flattens as you walk an additional 1-2 hours to Uhuru Peak (5,895 meters). You will not be able to stay too long at the summit as the lack of oxygen and cold is debilitating. Sunrise, with the summit in the distance. Not far to go now! Make sure to get all the pictures and video footage you want and then make your way back to Stella Point. Many trekkers decide to scree slide down the slopes of Kibo to Barafu Camp where you will have a chance to take a short break before continuing on to Mweka Camp. Remember to use your trekking poles as the impact on your knees of the 5-8 hour descent from the Summit to Mweka Camp can be very tiring and painful. By the morning of the sixth day you should have your appetite back and can enjoy your last breakfast on the mountain before heading down through the thick undergrowth of the lower slopes. Your knees may be very sore so go slowly and make sure of each footing as you descend to Mweka Gate. On arrival at the gate you will sign-out with the authorities and be presented with your summit certificate. 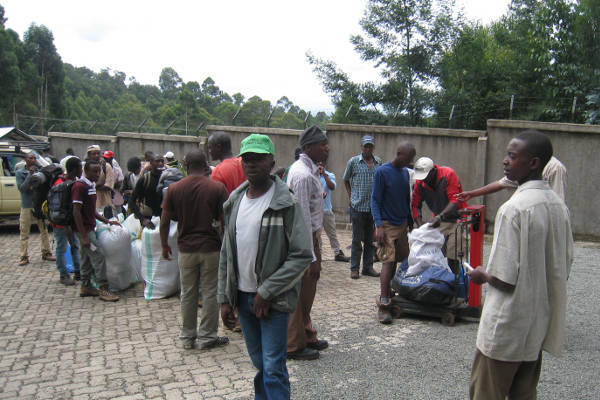 At this point it is customary to present your porters and guides with their tips, before being transported back to your hotel in Moshi or Arusha. Climbing Kilimanjaro comes with obvious risks. 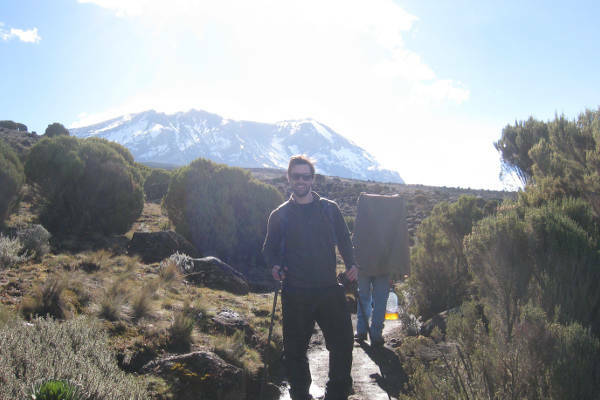 It is important that you get adequate insurance for your Kilimanjaro trek. Use the quote calculator from our recommended partner, World Nomads. World Nomads provide specific coverage for hiking up to 6000m, which is perfect for Kilimanjaro. Still have questions about the Umbwe Route. Leave a comment below and we will respond with an answer within 24 hours.